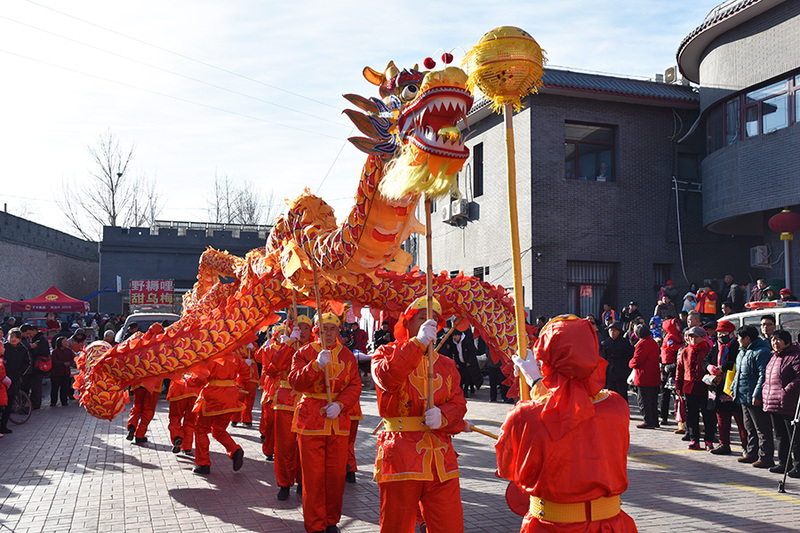 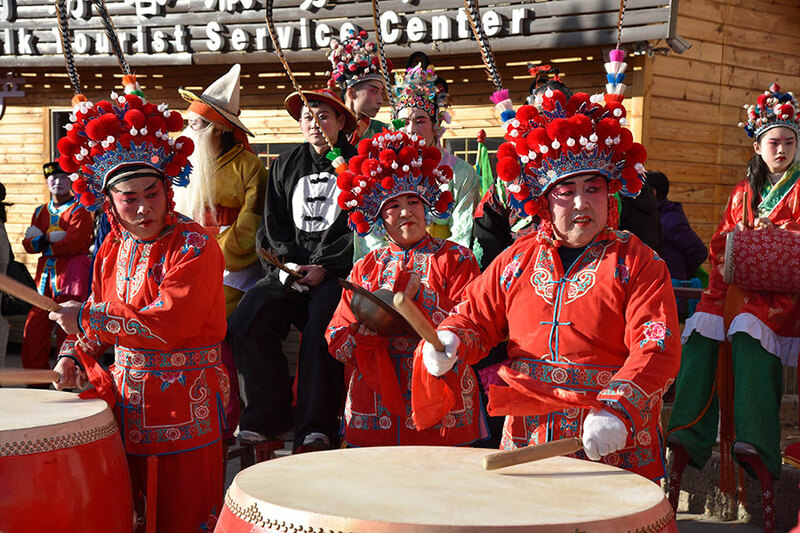 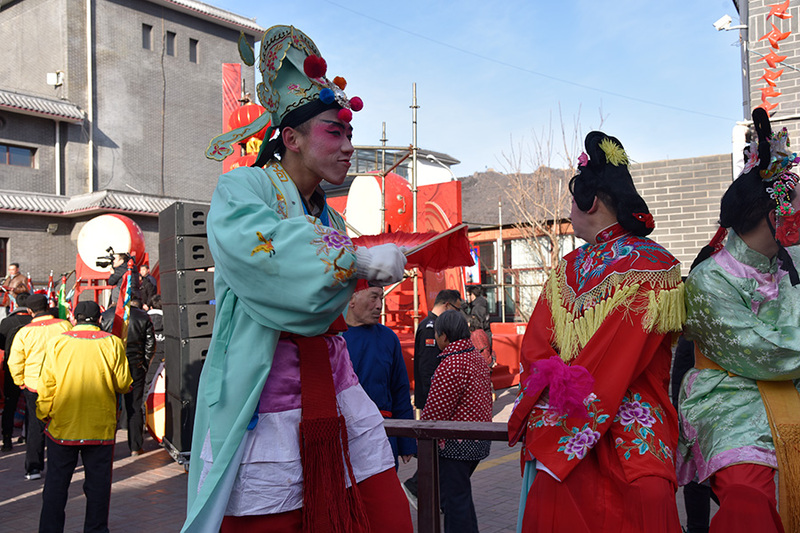 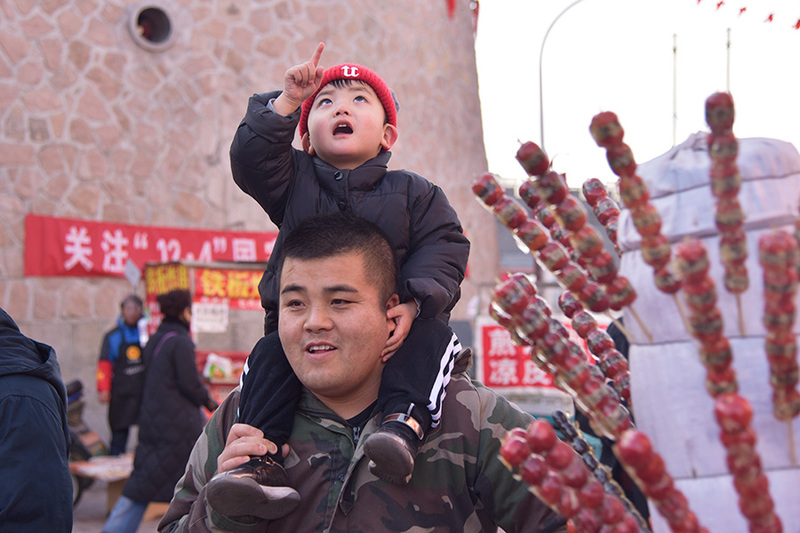 A Spring Festival celebration to welcome Xiaonian, or the Little Chinese New Year, is taking place from Jan 26 to 29 at the ancient Hefangkou Pass of Huaibei town, Huairou district, Beijing. 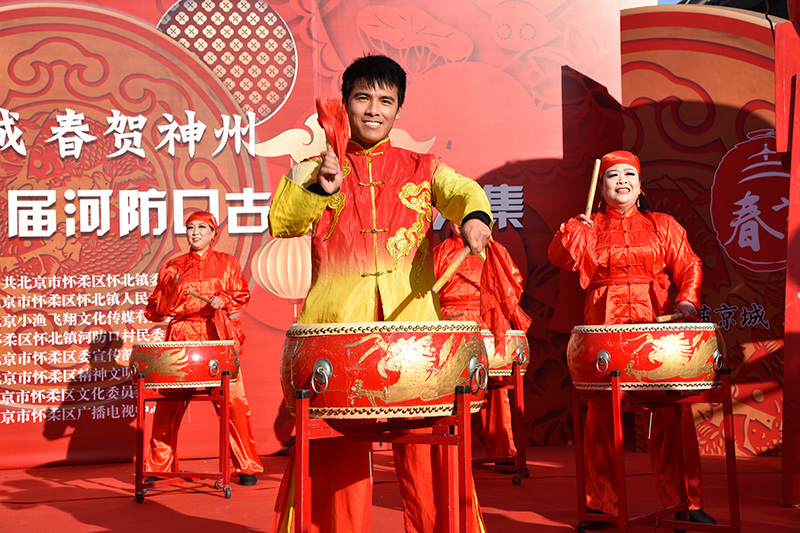 A great variety of cultural performances featuring Chinese intangible cultural heritage and folk art are offering tourists a visual feast. 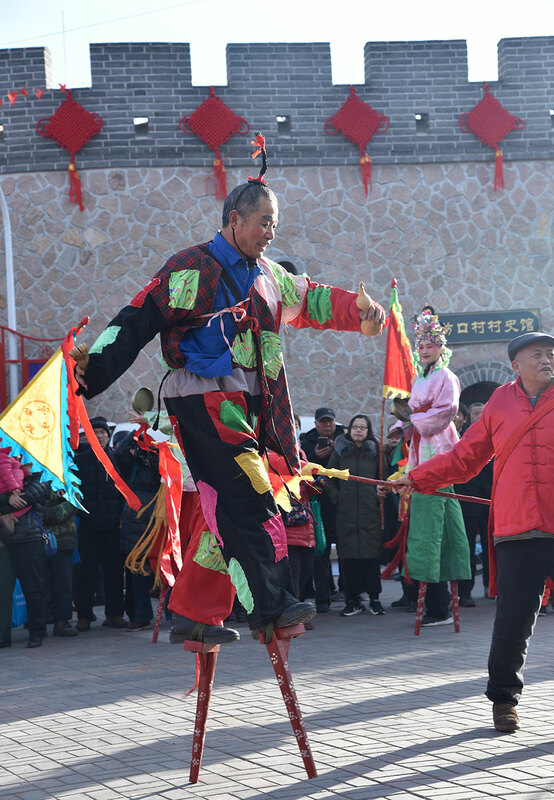 Stilt walking, a recreational activity in rural areas, combines dance, drama and physical agility. 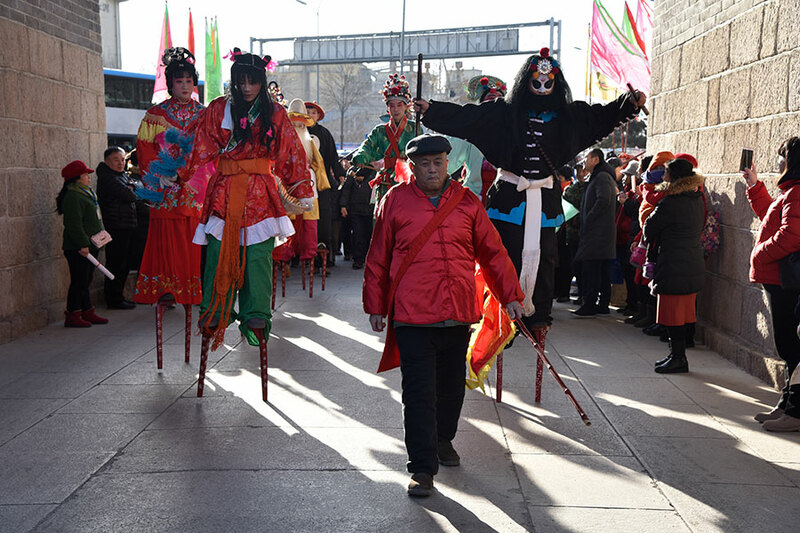 Chinese stilts are usually 20 to 90 centimeters high and, when accompanied by various props, can allow performers to play folk heroes or roles from popular dramas. 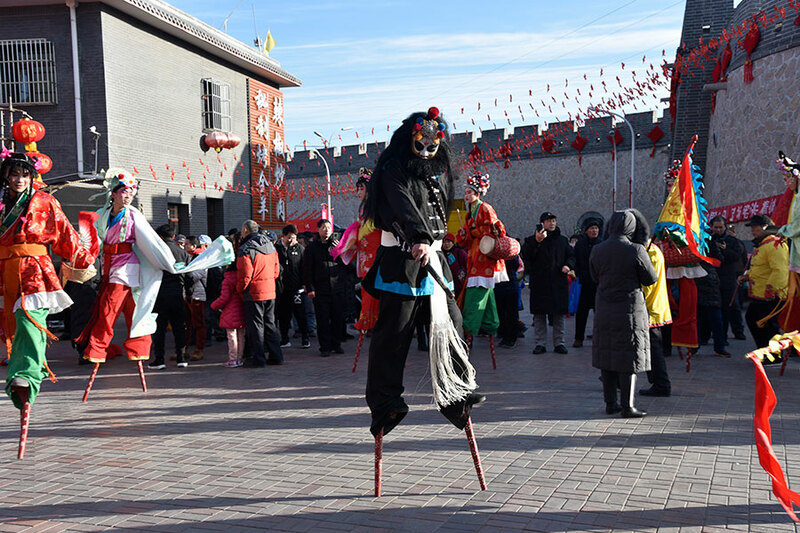 Folk stilt performances usually happen during celebrations such as Spring Festival and the Double Ninth Festival. 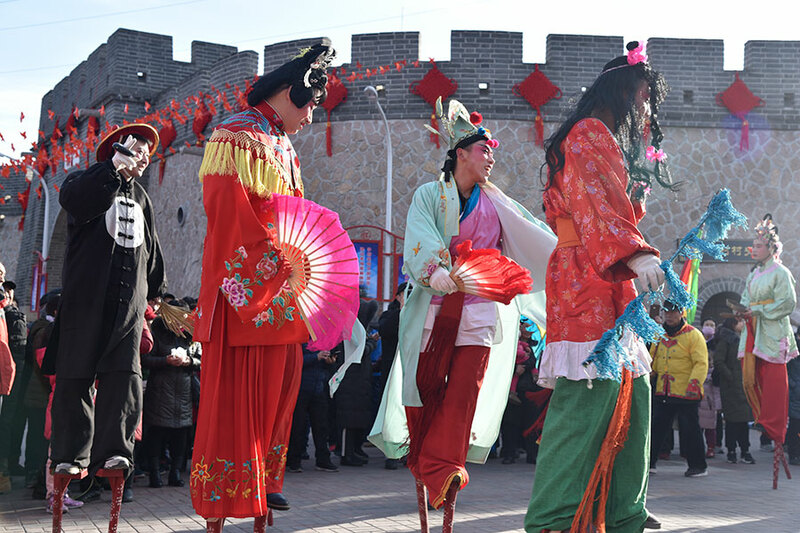 In order to make the performances more attractive, people usually mix traditional dramas with stilts. 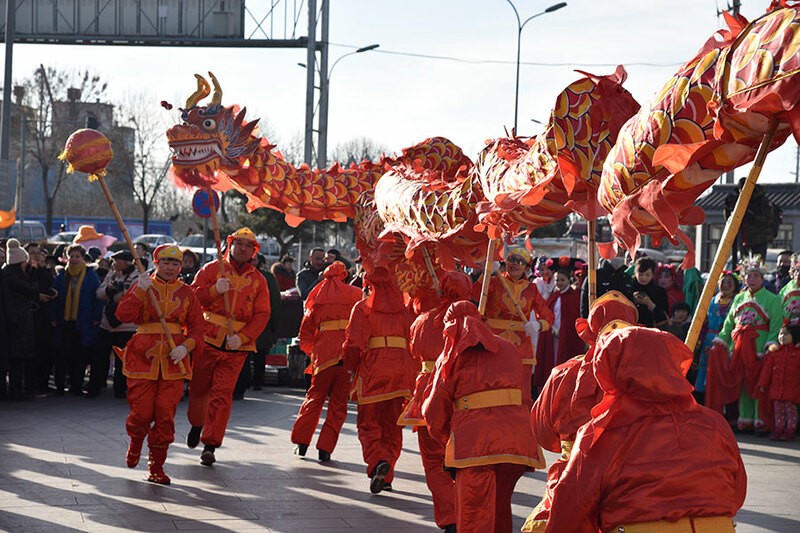 Also, the typical dragon dance, where performers mimic a dragon's movements in a costume to bring good luck and fortune, stands out as a highlight of the celebration. 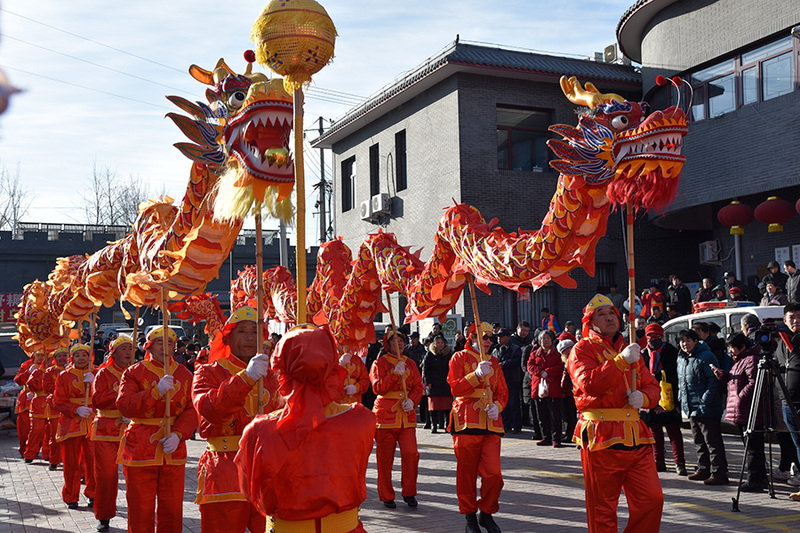 Dragon dances remain a must-see activity among Chinese New Year events in Chinatowns around the world, as dragons symbolize the ethnic identity of the Chinese people, who often refer to themselves as “descendants” of the mythical beasts. 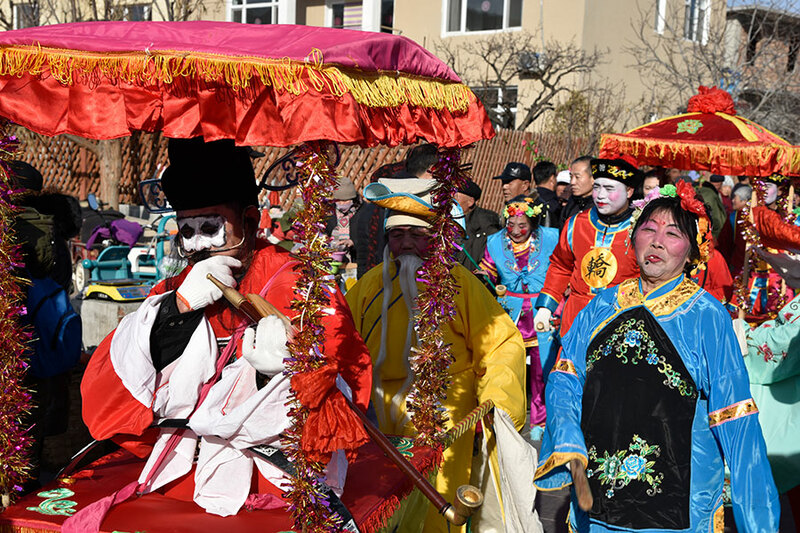 Visitors also have the chance to sample traditional and local food, such as Kitchen God rice, dumplings, pear soup, glutinous noodles, braised pork trotters and Pingquan-style mutton soup. 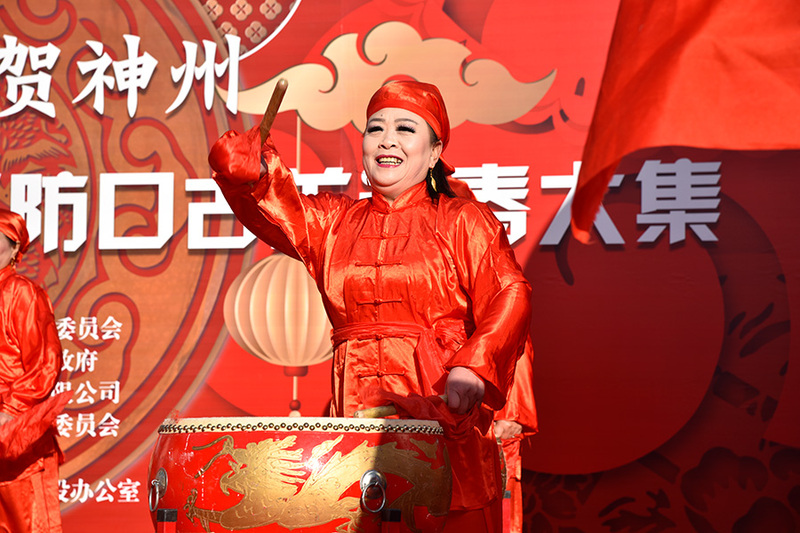 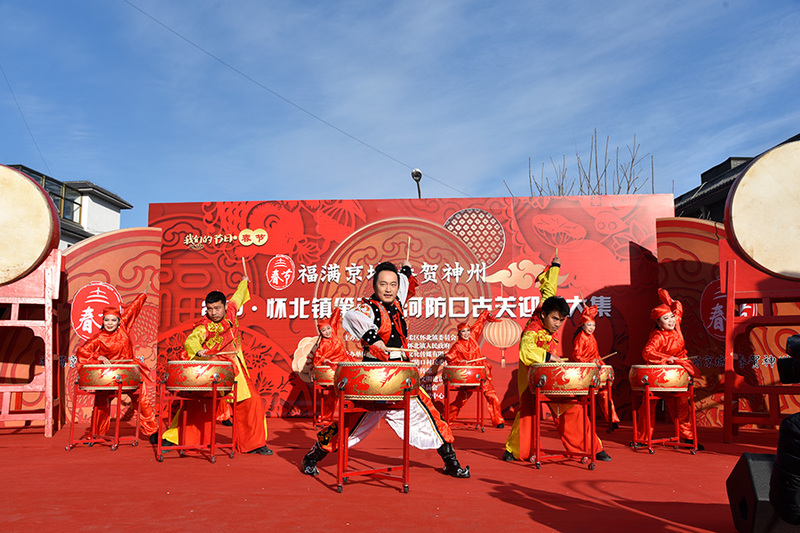 2019 marks the fifth year for the local government to hold a Spring Festival celebration event focused on the ancient Chinese culture of the Great Wall, which includes the Hefangkou section, an integral part of the world-renowned wonder.